Adventure Time: Elements, a new eight-part, Finn and Jake-starring miniseries is hitting Cartoon Network this month, the channel has announced. A regular Adventure Time episode will air on April 21 to set things up for the miniseries before Elements begins in earnest on April 24. Lasting until April 27, two episodes will air per night for four nights in a row. 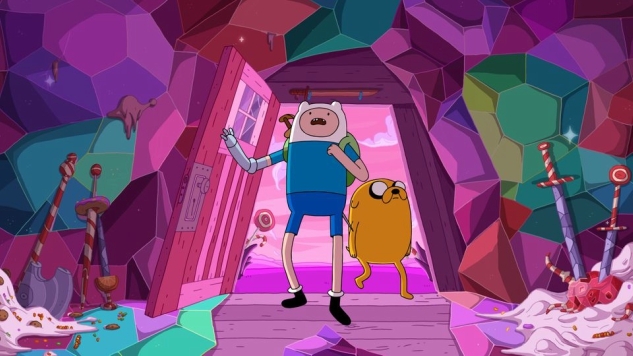 While previous miniseries Islands saw the pair disembarking from the Land of Ooo to travel the ocean, Elements sees Finn and Jake’s return to the land, only for them to find things are not how they left them. Go ahead and check out Adventure Time: Elements’ new opening below, and find our Islands review here.